A little over a year ago, I was looking for clothing to take on our cruise. I wanted things that would pack easy and dress up or down depending on my needs. Most important of all, they had to be comfortable. 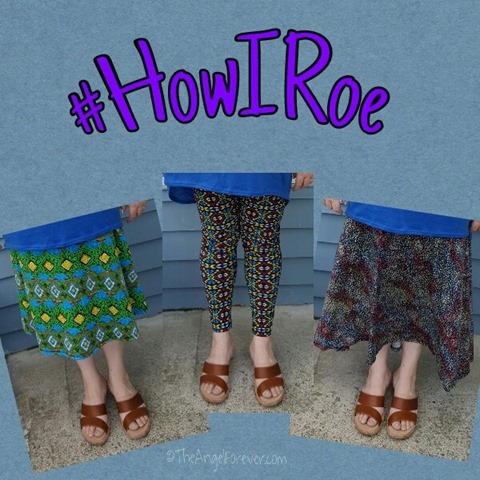 Another direct sales friend of mine mentioned LuLaRoe maxi skirts. As a vertically challenged individual, long skirts are more difficult for me to find. I took a chance and tried a skirt. I fell in love with the soft skirt and quickly bought a second one for our travels since I noticed they really didn’t wrinkle. 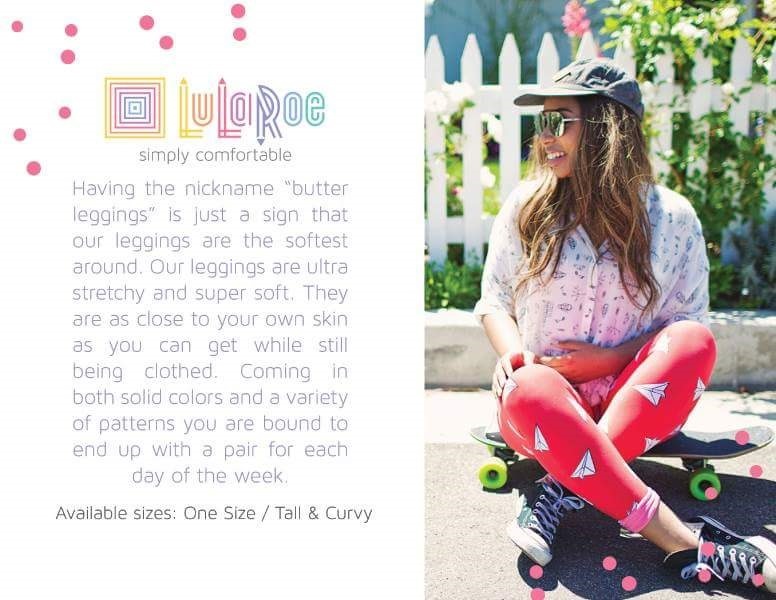 LuLaRoe offers a variety of styles in skirts, shirts, dresses, and the ever popular leggings for women. 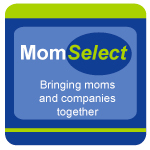 In addition to this, they are constantly adding new options for children and men. Looking for just the right piece to purchase next is like a sport. There are so many cute patterns and fantastic solids available that you can mix and match for any occasion. Of course, the beauty of LuLaRoe is that there is a limited amount of each design used. 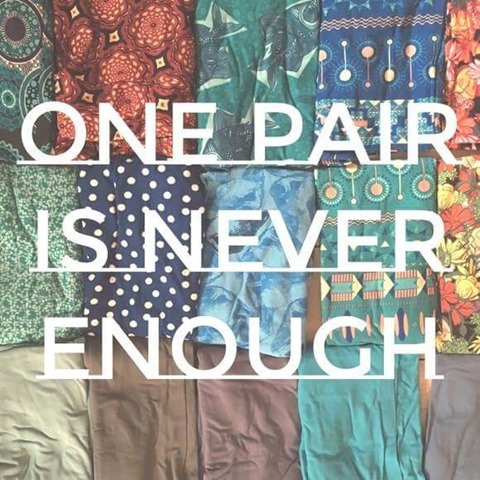 That means that LuLa Lovelies are constantly looking for their unicorn. Shortly before we left for our trip, I found a local LuLaRoe consultant. Rivkah is an amazing woman and met with me to try on several skirts to determine what size would work best for me. I need to meet with her again to tackle more shirt styles, along with the gorgeous dress options. When we returned from our trip, I kept debating what to do about the famous Buttery leggings. My bottom half is a lot smaller than my top so I knew they would fit, but would I actually like and wear them. The answer is YES! I bought my first pair, fell in love, and quickly bought another pair with a matching Irma top to go with it. Guess what? They are cute, comfy, and I am getting enough courage to wear them out and about. 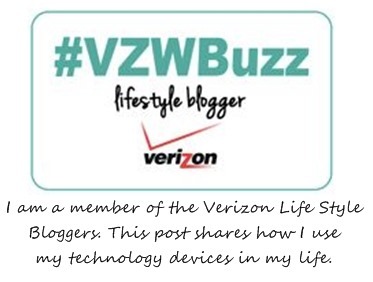 I warn you, you will adore them and want more! 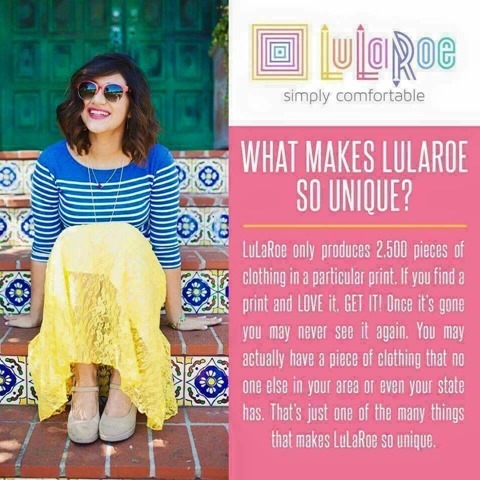 Thanks to Rivkah, I am hosting a LuLaRoe online party. It will be a lot of fun and many goodies available. The best part is you don’t have to be local and can shop at home in your pajamas. There may even be some surprises if you stop by. Let me know if you need an invite, but you can head to Rivkah’s Facebook page here. If you have any questions, do not hesitate to ask. 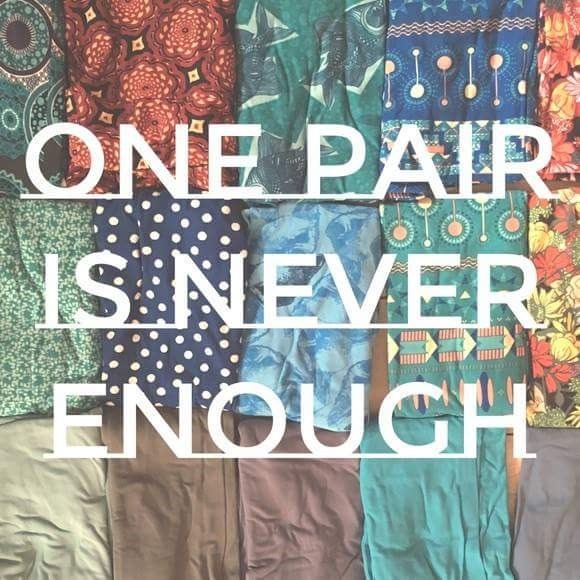 LuLaRoe is available in XXS to 3X and looks great on all shapes and sizes. What do you want to check out? Will you fall head over heels in love with the butter leggings, a skirt (Maxi, Azure, Madison, Cassie…), dress (Nicole, Amelia, Julia…), a top (Irma, Perfect…), or something else? 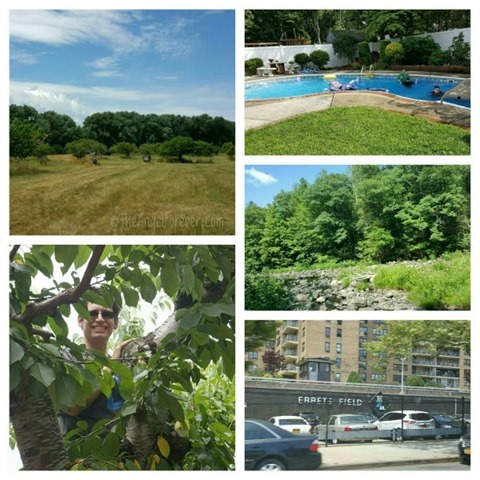 Disclosure – The photo at the top is my LuLaRoe purchases from the past. From left to right, I have an Irma top on with an Azure skirt, Tall & Curvy Leggings, and a Maxi skirt. 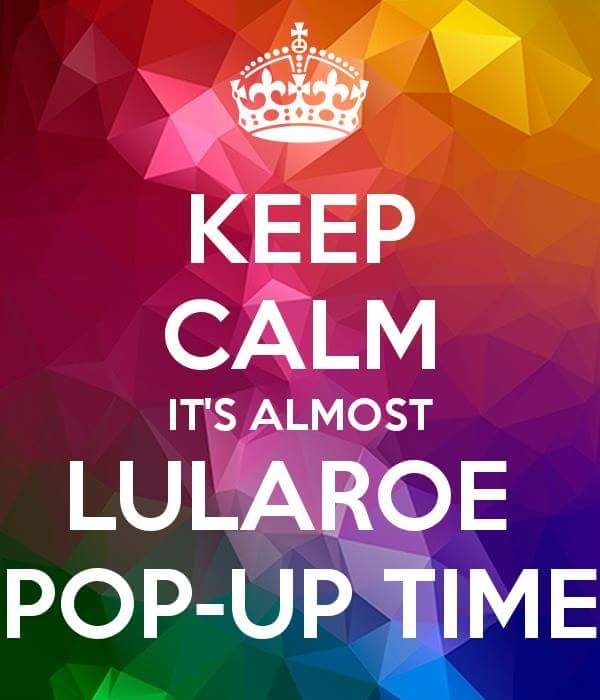 I am hosting this online party for LuLaRoe to share my love of the product, help a friend, and earn some goodies! If you have been in a retail store lately, chances are you have noticed all of the Back-To-School signs up all over the store. There truly are great deals out there, but for some of us we are just getting into the groove of summer break. 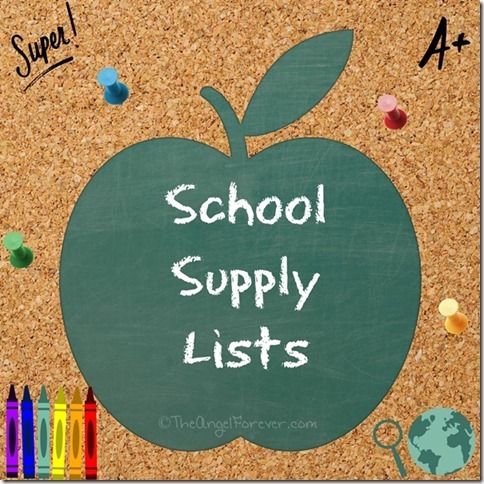 Of course, there’s something special about getting bargains and new schools supplies. Perhaps it’s the teacher in me, but I find it fun going to get the boys their new supplies. 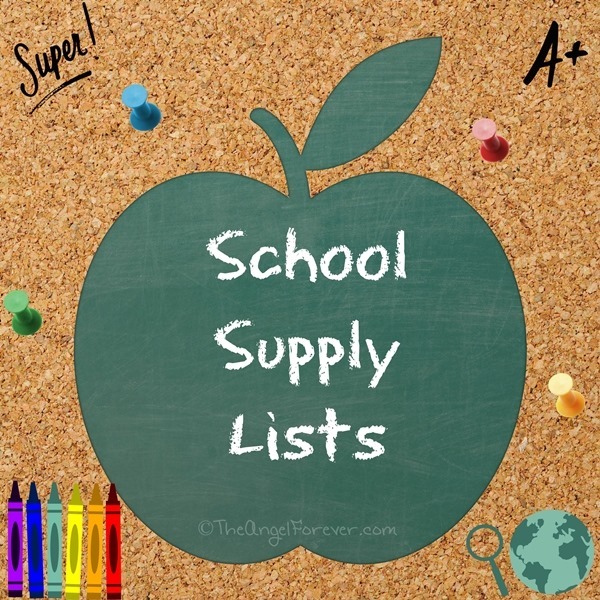 The tradition on my blog has been to share our school supply list each year as the boys have gotten older. It’s pretty interesting to see it change and to compare what JSL needs several years after NHL was that age. So let’s get started. We will go shopping for some of these items at home. I know I had extras and things like the pouch and scissors are still in great shape. In addition to this, all areas note more loose leaf paper (clearly we eat it in middle school), along with pencils, pens, and highlighters. I’m assuming there will also be some novels that we need to purchase for ELA, but none are mentioned yet. Have you ever been at an event where you want to buy something, but you have no cash? This often happens to me. On the flip side, I have also been the business owner that did not have an easy way to take credit card payments. For a while, I used PayPal to invoice people, but that can be time consuming and sometimes it takes a while to process. 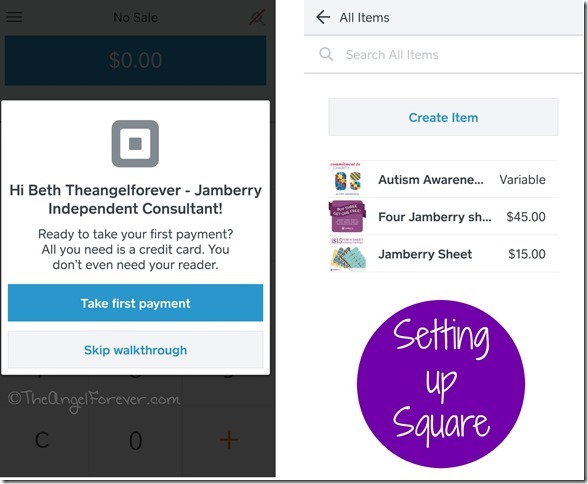 As I started going to live events with Jamberry products, I needed something quicker and easier to process credit card sales. 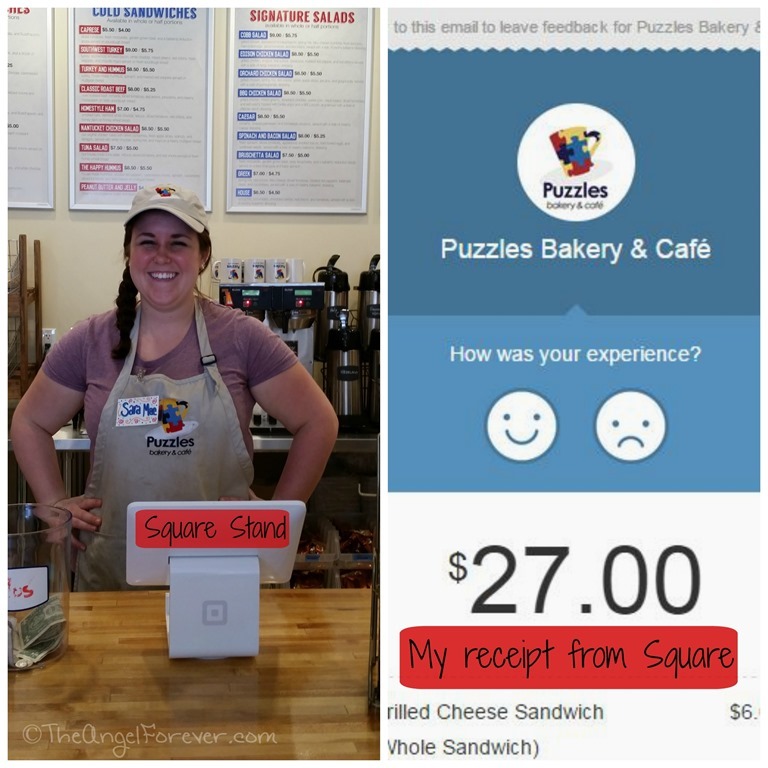 While at Puzzles Bakery, I was reminded of the Square Reader. 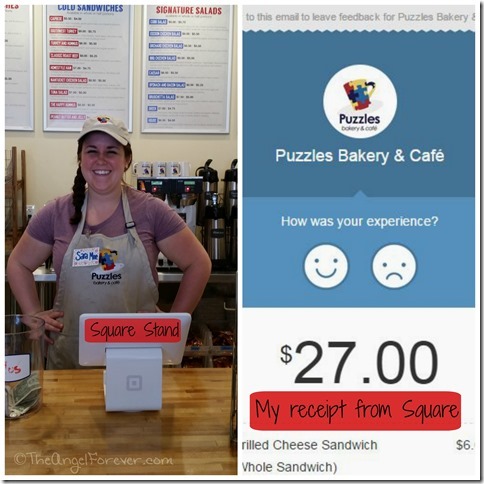 At this amazing business, they use iPads with the Square Stand as their cash register and Square for processing credit payments. When we had lunch there, I used my card, signed with my finger on their tablet, and received an email receipt moments later. I knew that I needed to get a Square card reader to use for my business. I went online and signed up for an account. It was quick and easy. 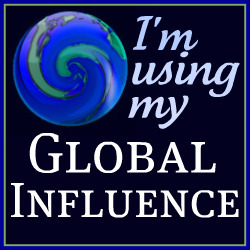 Once I requested the free reader, I went back to the website to personalize my account. 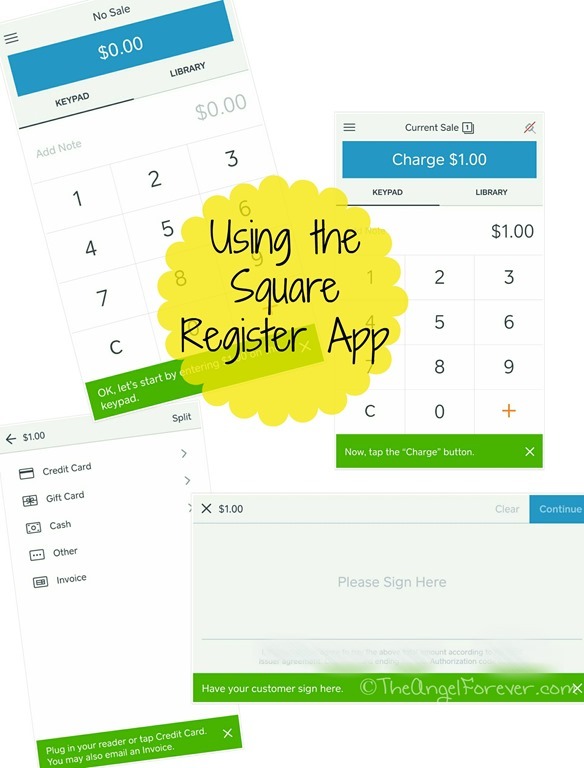 From here, I grabbed my Android device to install the Square Register app. While I did not have my card reader right away, I was still able to set things up. The interactive nature of the Square website and app are impressive. 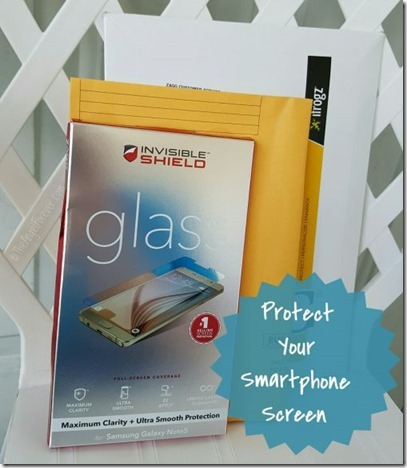 I was able to put items into my store for quick and easy check out. In addition to this, I could set up the look and feel of receipts that customers would receive.Yes, I could even have specific designs noted in my sales for Autism related events. 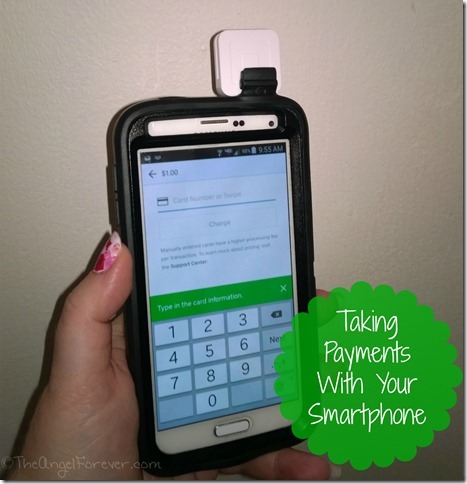 Even without the reader, you can take credit card payments. There is just a slightly larger percentage taken out for this. 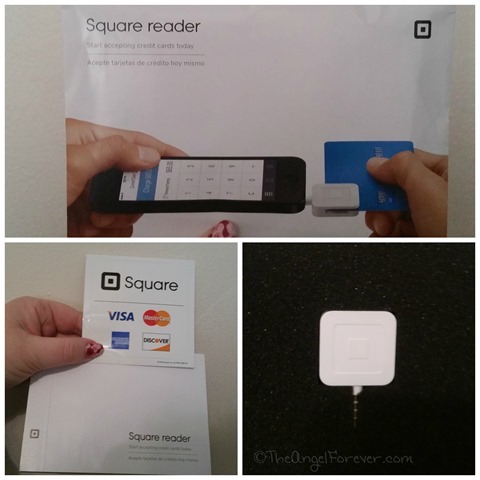 Once my Square reader arrived, it was time to test it out with a credit card. It was easy to use thanks to a great tutorial that prompts you with what to do next. 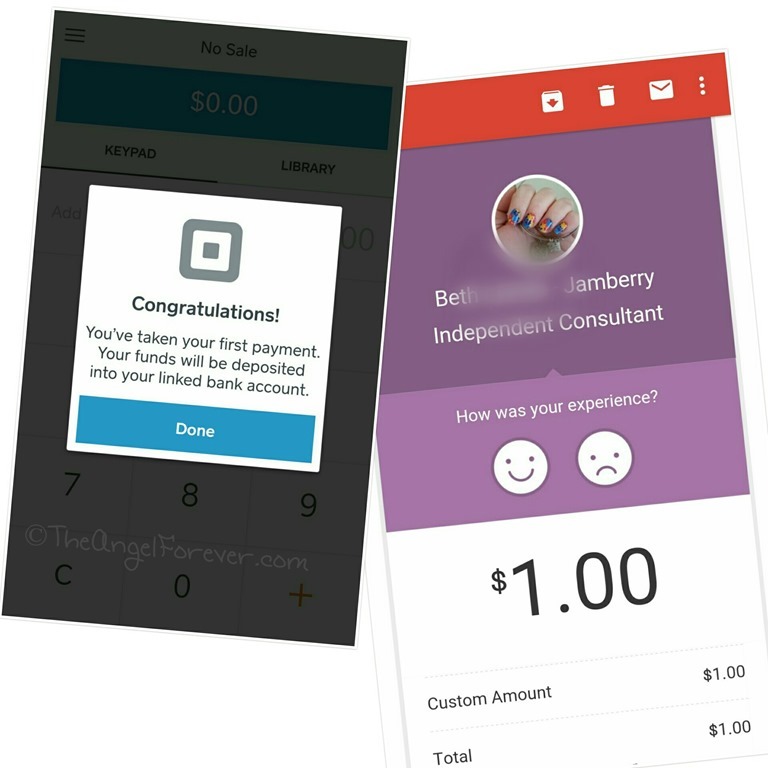 (1) Put in the amount of the transaction. (2) Confirm the amount and press charge. (3) Select credit card and enter the card number or swipe it through the reader. 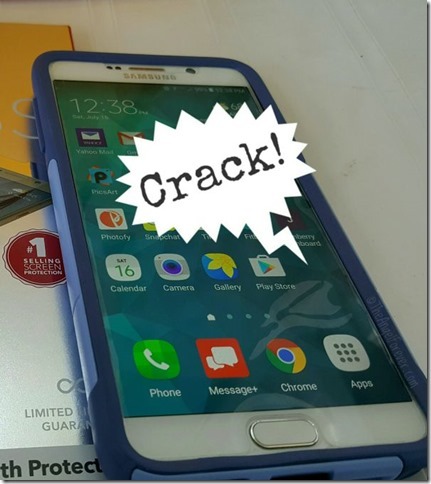 (4) Have the customer sign on your smartphone. 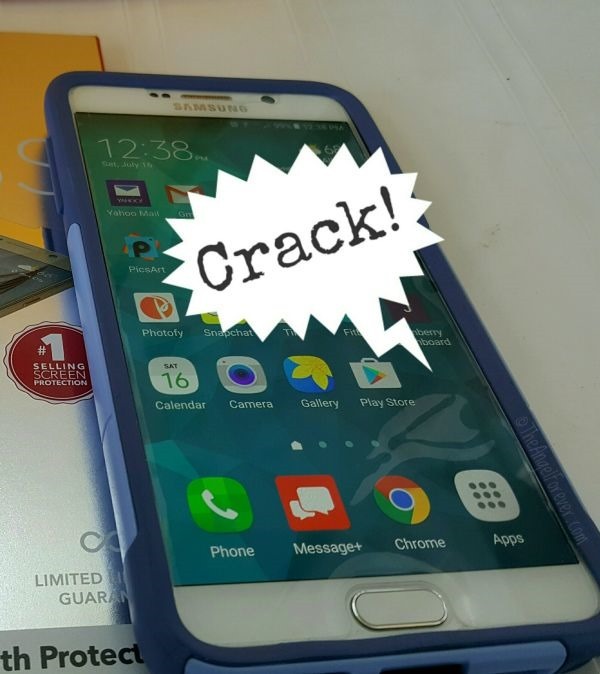 After signing, you press continue and it will let you know if the charge has been successful. A short time after this, the customer will a receipt via email. 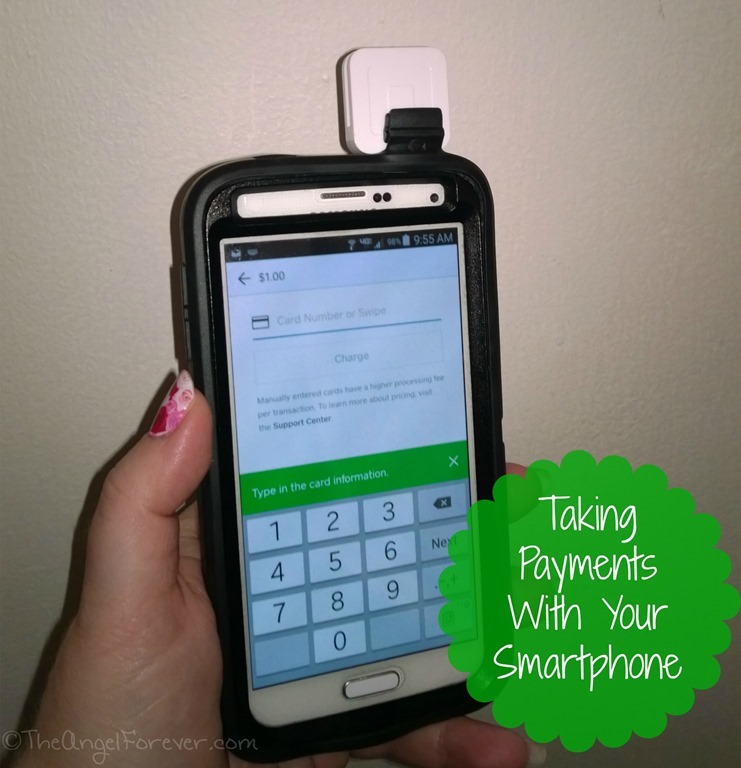 Have you every used a Square reader to make a purchase or take a payment? 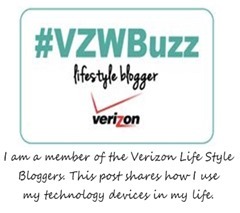 I would love to know how it helped your shopping experience. It’s funny how you can become attached to certain things in your life. Jamberry nail wraps most definitely fit into this category for many people, including me. Some of the wraps are favorites that I can’t imagine not being able to see on my hands again. 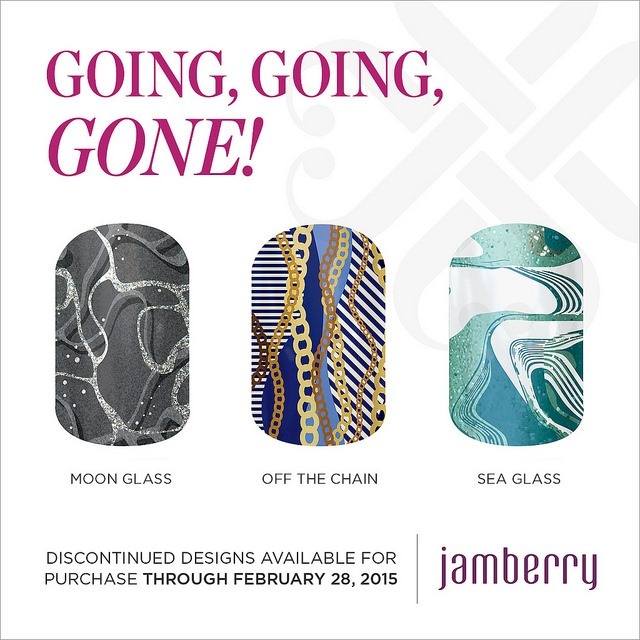 Of course, sometimes you have to say goodbye to items that you are fond of and nail wraps are not immune. 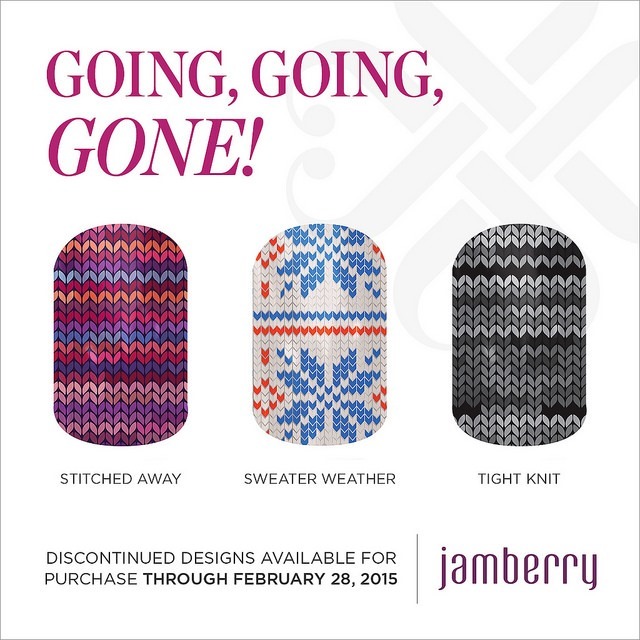 Jamberry has officially announced the Going, Going, Gone wraps for February 2015. The moment I saw the list, I knew that I had to make a list. There were definitely wraps that I wanted to get before they were done. A few were favorites, while others were some that I had on my list to get next time. 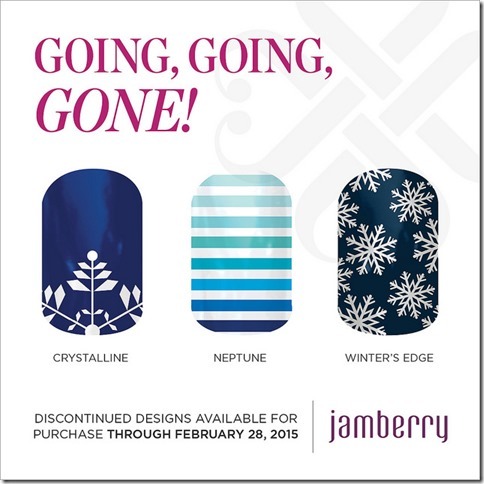 Well, next time has to be soon since all of the wraps in the Going, Going, Gone group will be no more on February 28. A few of the retiring class of 2015 include the following. 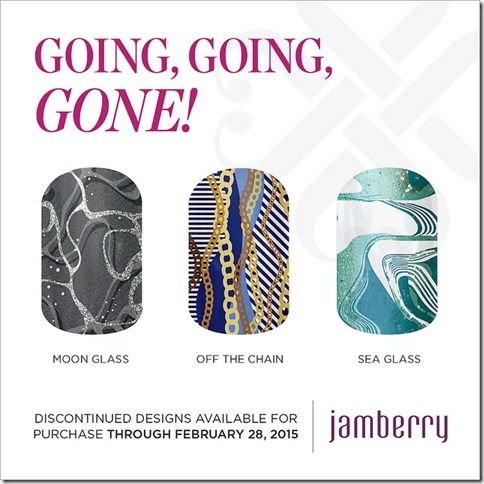 There are many others that you can view here under the Going, Going, Gone section on my Jamberry website. 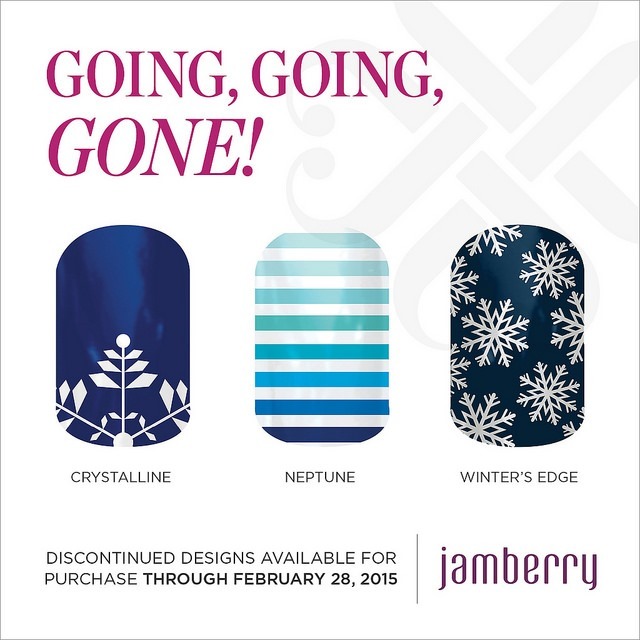 As always the designs that are about to retire are included in the Buy 3 get 1 free package, so be sure to take advantage. 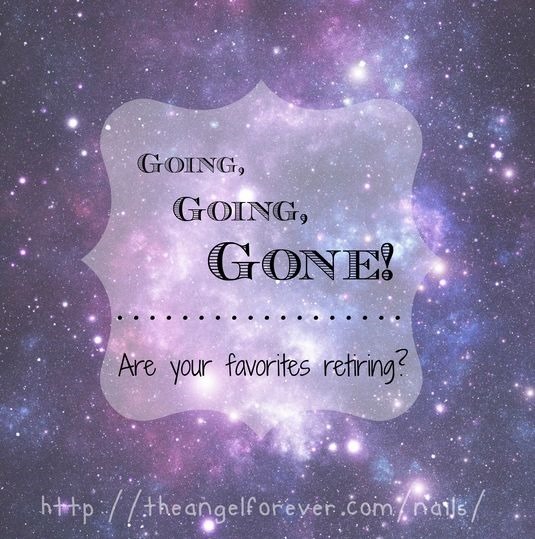 So which three Going, Going, Gone wraps are you going to miss most? Be sure to let me know in the comments. 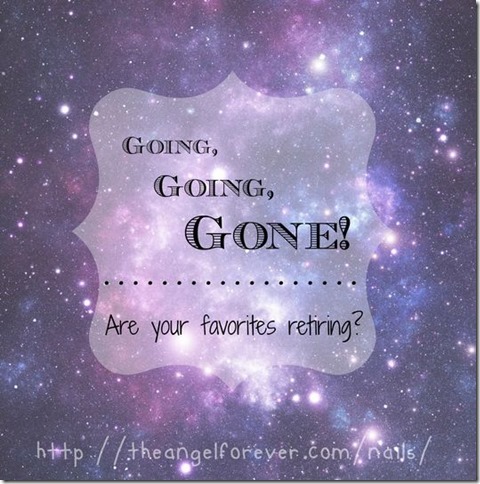 Let me know if you are interested in an order or having a Going, Going, Gone online party. My last host received amazing rewards (photo coming soon)!